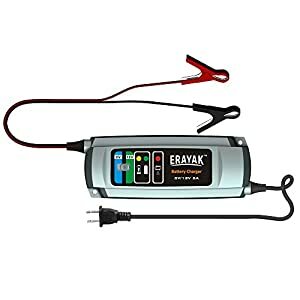 High Capacity Jump Starter: 800A Peak Current. 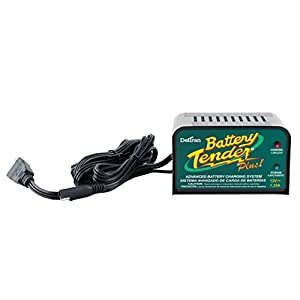 Give your car a battery boost – works with most gasoline engines with a 12V battery and an engine displacement below 5L. 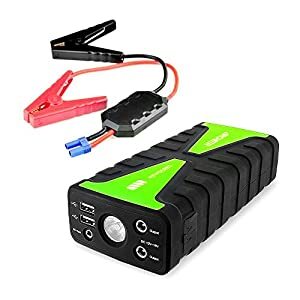 Advanced Safety: Unlike cheaper variations, multiple safety protections are in place to protect your car and the jump starter saving you thousands in accidental damage; ultra bright flashlight lets you flag down passing cars if you’re in trouble. 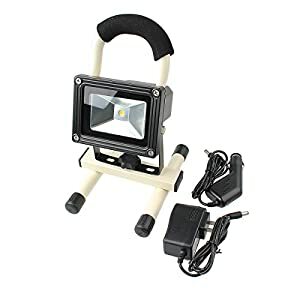 An ultra-bright LED flashing light with 3 light modes including SOS, Emergency and strobe ensures you never get stuck in the dark. 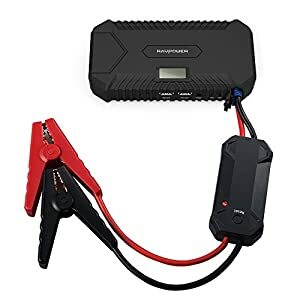 Compact & Lightweight: Durable and a compact small size with a supremely powerful 16,800 mAh battery that gives you up to 25 jump starts or 6 full charges for your smartphone. 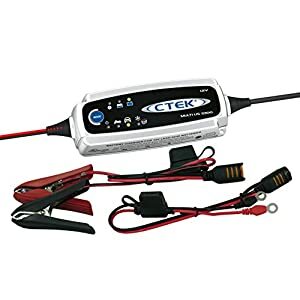 550A FOR ENGINES WITH A 12V BATTERY: 550A peak current works with most diesel engines up to 3L and gasoline ones up to 5L, plus dual 2.1A iSmart USB ports to charge phones, GPS systems, and other USB devices. 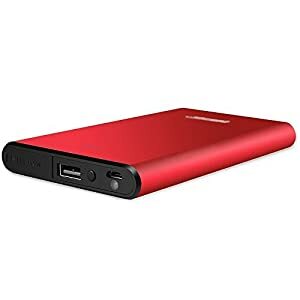 14000mAh FOR UP TO 20 JUMP-STARTS: Powerful and portable 14000mAh power bank to jump-start your car up to 20 times or fully charge your smartphone multiple times. 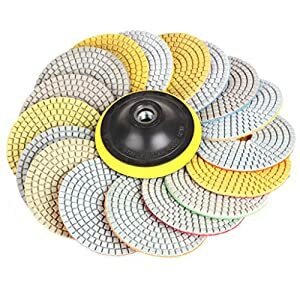 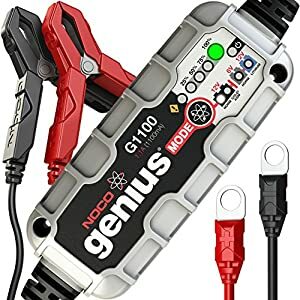 360° PROTECTION: Multiple safety protections to protect your car as well as a jump cable smart chip to prevent short circuit, over charge, over current, over discharge, and reverse connection. 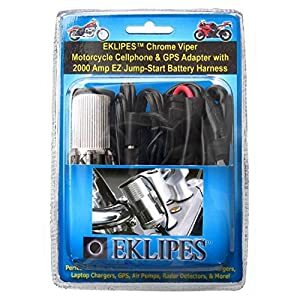 EKLIPE Chrome Viper Power Socket Is One Of The Newest Motorcycle Cellphone & GPS Adapters On The Market Today! 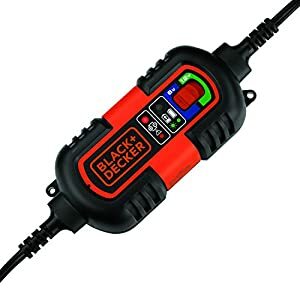 Cellphone Chargers, Radar Detectors, GPS, Air Pumps and More! 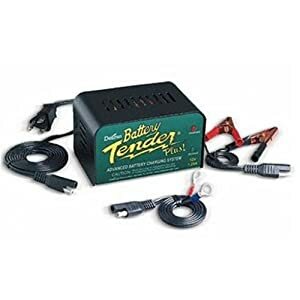 COMPATIBILITY: Safely maintain or extend the life of 12V Lead Acid battery types on automotive, marine, RV, lawn & garden like cars, boats, ATVs, lawn mowers, snowmobiles and motorcycles. 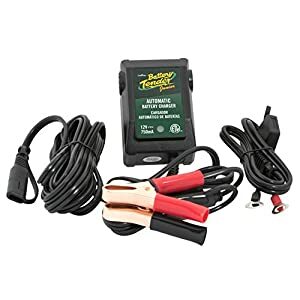 ULTRA SAFE: Fuly protects against reverse polarity, overcharging, overcurrent, short-circuits etc., safe and secure for both you and the devices. 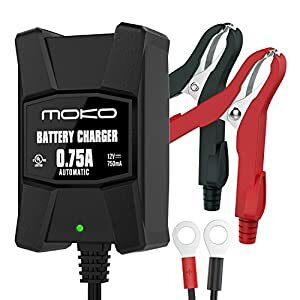 SMART CHARGE: Optimal charging modes with ring terminal leads for long-term installation and alligator terminal clips for single use, automatically switch to float mode when fully charged. 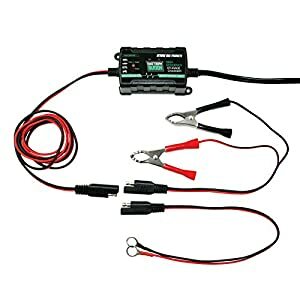 With 10400mA lithium battery gives 6hr on High. 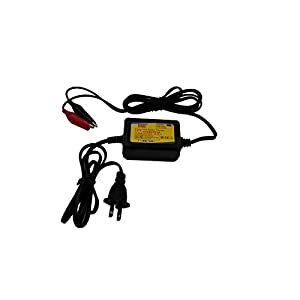 It can charge smart phone via USB with 5V/1A.